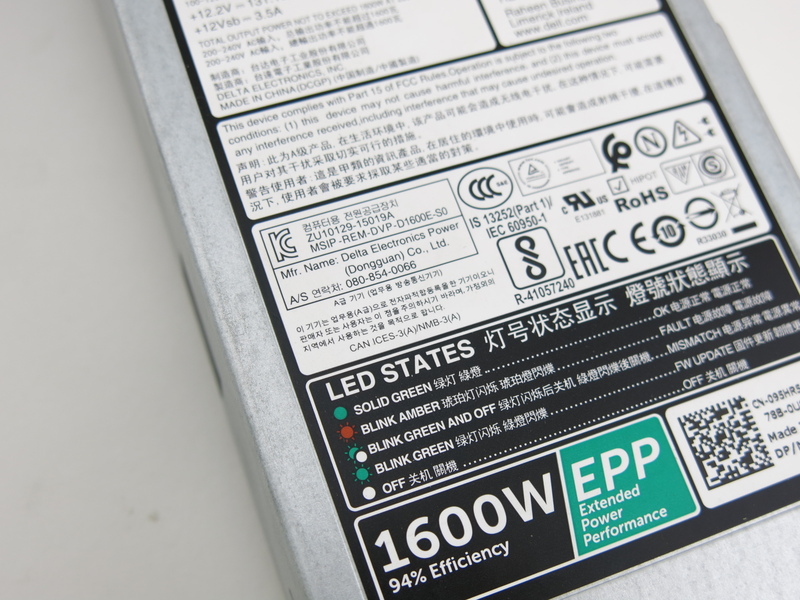 1600 Watt GPU Mining Power Supply 200-240V 94% Efficiency Improve your ROI now. 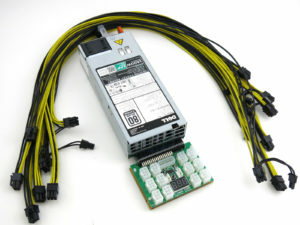 Includes 12 Port X-15 breakout board and 6 pin to 8(6+2)pin PCIE Cables. 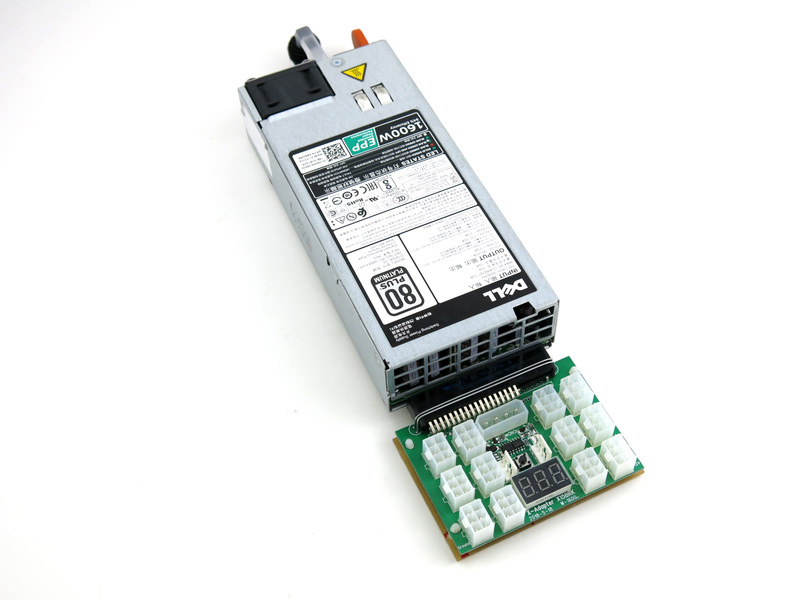 This Delta 1600 Watt Platinum power supply features our X-Adapter X15 breakout board. Improve your ROI by upgrading your current PSU set up to this 94% Platinum certified PSU. 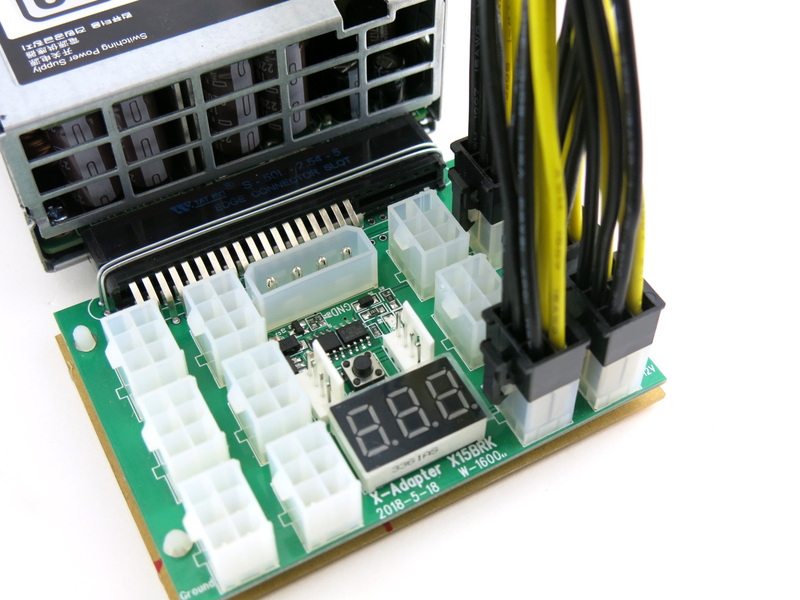 Fully tested before shipping it is intended to independently power ASIC miners or GPU's and their risers in a 24/7/365 mining rig environment. Our Patent Pending Chain Sync Feature through our X6B, X7B, X11, or X15 Breakout boards is done by connecting the interconnect cable from PSU 1 to PSU2 then PSU 2 to PSU 3; feature tested with up to 20 PSUs. (1) Original Delta 1600W Server power supply. 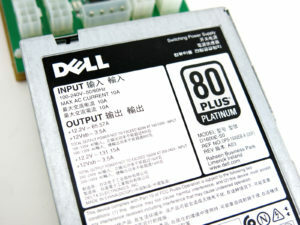 Platinum Rated. 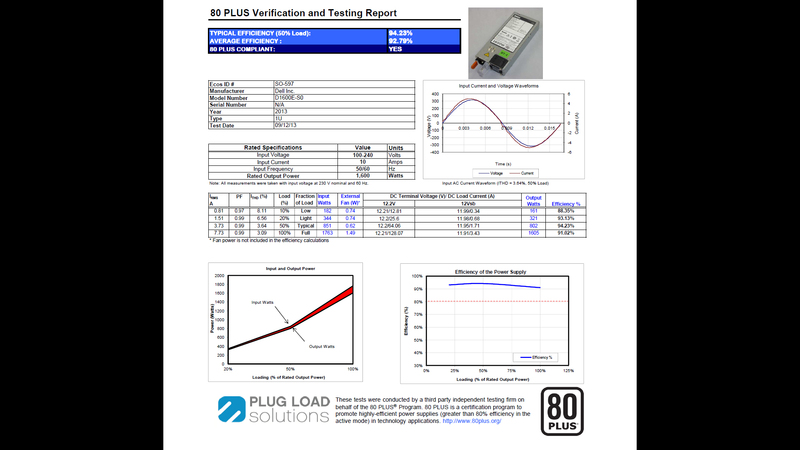 This adapter will power your motherboard, CPU and (2) peripheral device with a total output power of 180watt - MAX - . Please see the Discussions tab for important information on this adapter. 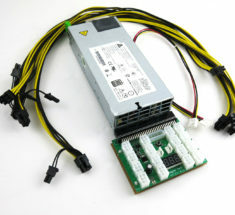 94% efficient Platinum Delta 2000 watt GPU mining rig power supply kit. 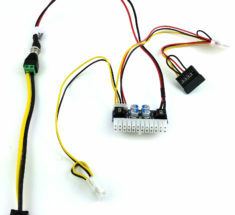 Includes proprietary X-Adapter REV: X15; your choice in quantity of 24 inch 6-pin to 8(6+2)-pin PCI-E 16AWG cables; and (4) heat resistant rubber foot pads included. 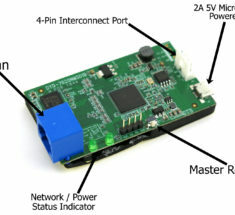 Remotely trigger a power cycle on any device connected to our breakout boards. 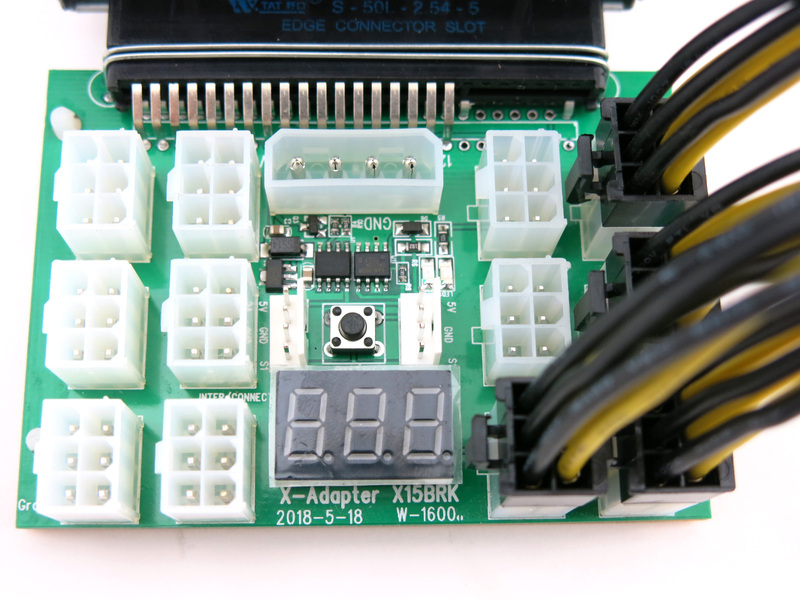 Power cycle up to 12 breakout boards at the same time. Access via a Web interface with the ability to create a power cycle schedule. 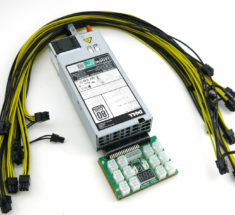 Platinum Delta 1400watt PSU kit for GPU's mining. 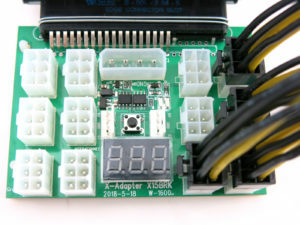 With proprietary X-Adapter REV: 11, "Please selected the amount of cable require" 24 inch 6-pin PCI-E 16AWG, (4) heat resistant rubber foot pads included. 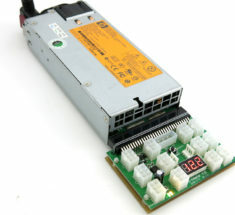 750watt PSU kit for GPU Video Card Mining. 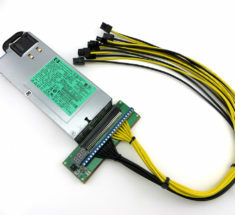 Kit include proprietary X-Adapter REV:7B, set of (8) 26inches 6-pin to 8-pin(6+2) PCI-E 16AWG, (4) heat resistant rubber foot pads.